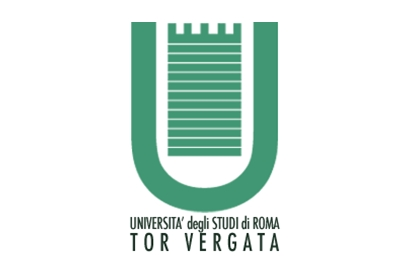 Both its teaching and research activities make DICII one of the most active departments of Tor Vergata University of Rome. Its permanent staff presently consists of 72 full, associate and assistant professors, and the total number of active people exceeds 130. The Department is interdisciplinary, with groups active in computer sciences, architecture and environmental engineering, control systems and remote sensing. TEO Lab, the Tor Vergata Earth Observation Laboratory supports multidisciplinary research and educational activities in the fields of Earth Observation, satellite remote sensing, electromagnetism and telecommunications, and it hosts the GeoInformation Doctorate. The Earth Observation permanent staff presently consists of 5 full, associate and assistant professors, while the total number of active people exceeds 20, including GeoInformation PhD candidates, fellowship or scholarship holders, and technical personnel. The Earth Observation and Remote Sensing group devises original methods and implements algorithms for exploiting data from Earth observation satellite missions. It has carried out research on optical, hyperspectral and active and passive microwave Earth observation since more than 20 years and has published over 300 papers on refereed international journals, books and conference proceedings. The group has participated in pioneering international experiments and campaigns like, for example, AGRISAR (1986) and AGRISCATT (1987/'88), and it is currently involved, among others, in COSMO-SkyMed and SMOS missions. The group actively cooperates with ESA (both ESRIN and ESTEC establishments) and with many international organizations, and has been granted contracts from the Italian and European Space Agencies and from national and international industries. The group has coordinated a European project (European Radar-Optical Research Assembly), with the participation of institutions from eight Countries. The main studies that have been carried out and the applications that were developed in microwave remote sensing of the earth surface include: modeling of scattering and emission from terrain covered by vegetation, processing and interpretation of airborne and satellite radar and radiometer data, classification of land surfaces, estimate of agricultural and forest biomass and soil moisture. Most recently, a software able to simulate the GNSS signal reflected from bare and vegetated surfaces has been recently developed.